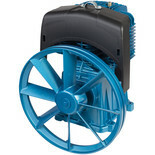 Clarke's robust and reliable air compressor pump, built to the latest engineering designs, delivers up to 14 cfm of compressed air. 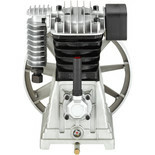 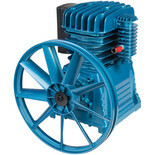 This tough and reliable cast iron twin-cylinder air compressor pump delivers up to 23 cfm and is ideal for a variety of uses. 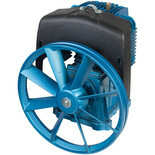 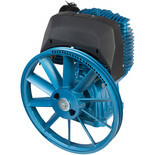 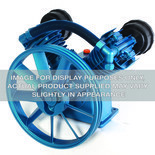 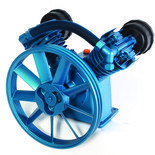 This tough and reliable cast iron twin-cylinder air compressor pump delivers up to 23 cfm.Supplied with a protected primer coating allowing you to finish to your chosen colour specification. 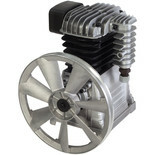 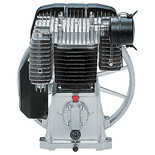 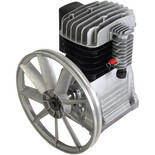 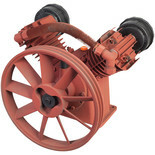 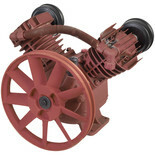 Ideal as a standard replacement unit or for special project builds, this sturdy industrial duty air compressor pump assures solid dependable performance with long term reliability.